This 132 km journey is not for the faint hearted, with a number of hairy sections winding through the beautiful Andes landscape. At almost 5,000 metres above sea level, this three hour mountain pass has views to die for - sometimes quite literally. Rocky landslides and shear mountain drops have taken more than a few weary travellers, so be careful and enjoy the view from the right side of the ledge. This jaw-dropping road section might be just 8 km long, but what it lacks in distance it makes up for in amazing scenery. While not quite as dangerous as the Ticlio Pass, this road is technical and definitely tricky, especially during a storm. The overpass section can be experienced between Kristiansund and Molde, with the dark 80-meter long Bremsnes Cave at Bremsneshatten Mountain a definite highlight. Perhaps the most famous road trip in the world, this journey has inspired countless movies, books, and questionable music recordings. In its prime, this road ran from Chicago through Missouri, Kansas, Oklahoma, Texas, New Mexico, and Arizona before ending at Santa Monica, California. While this road was officially removed from the United States Highway System in 1985, it is still a prominent part of modern day Americana. A road trip down the Amalfi Coast manages to merge the culture of picaresque Italian villages with the natural beauty of the pristine coastline. While the dramatic cliffs and hairpin bends will get your heart racing, the timeless beauty of the bays and villages below will take you back to a time long ago. This journey is only 75 minutes long, so make sure you appreciate every second. Sometimes you don't realise what you've got on your very own doorstep. The Great Ocean Road is a spectacular four hour drive between Torquay and Allansford, with the 244 km journey featuring mountains, oceans, rainforests, and more than its fair share of dramatic cliffs. Highlights include Bells Beach, the Great Otway National Park, and the breathtaking Twelve Apostles, an incredible collection of natural limestone rocks that tower 65 meters above the water. 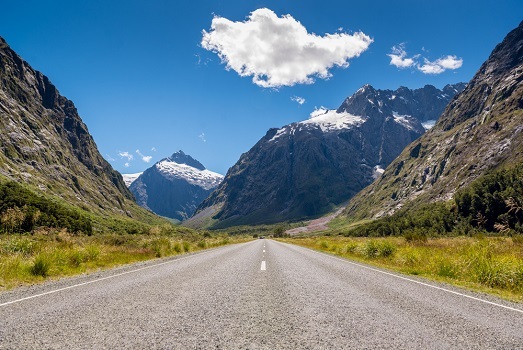 While Milford Sound is famous across the world, Milford Road doesn't always get the attention it deserves. This 90 minute, 120 km journey is jam-packed full of spectacular scenery, including snow-capped mountain ranges, majestic lakes, and beautiful waterfalls. The Avenue of the Disappearing Mountain is a particular delight, as is Eglington Valley and the Mirror Lakes.